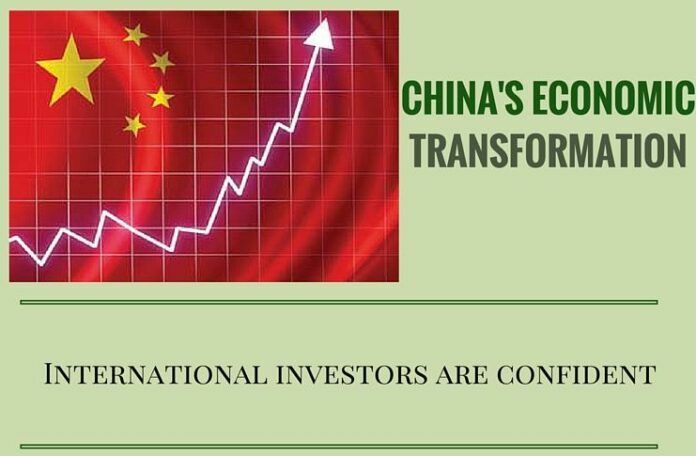 [dropcap color=”#008040″ boxed=”yes” boxed_radius=”8px” class=”” id=””]I[/dropcap]nternational investors are confident about China economic transformation, believing it can bring them good opportunities. The theme of the two-day Tianjin forum, which concluded on Tuesday, is the Fourth Industrial Revolution, driven by the increasing use of digital technologies and highly intelligent robots in China and some other economies. [dropcap color=”#008040″ boxed=”yes” boxed_radius=”8px” class=”” id=””]S[/dropcap]ijbesma said the transformation is easier said than done, but nevertheless said he remained confident in the policymakers and the economy, citing the strong fundamentals such as the big market, the infrastructure, the ongoing urbanization, the developing middle class and the supply of over 2 million university graduates each year. ” Klaus Schwab, World Economic Forum founder and executive chair, said China’s development plan unveiled last year emphasizes innovation and entrepreneurship. “In spite of great difficulties, Chinas resolve to push forward supply-side structural reform has never been weakened, and its reform efforts have never been stunted,” said Kevin Lu, chief executive officer of Swiss Partners Group in Singapore.